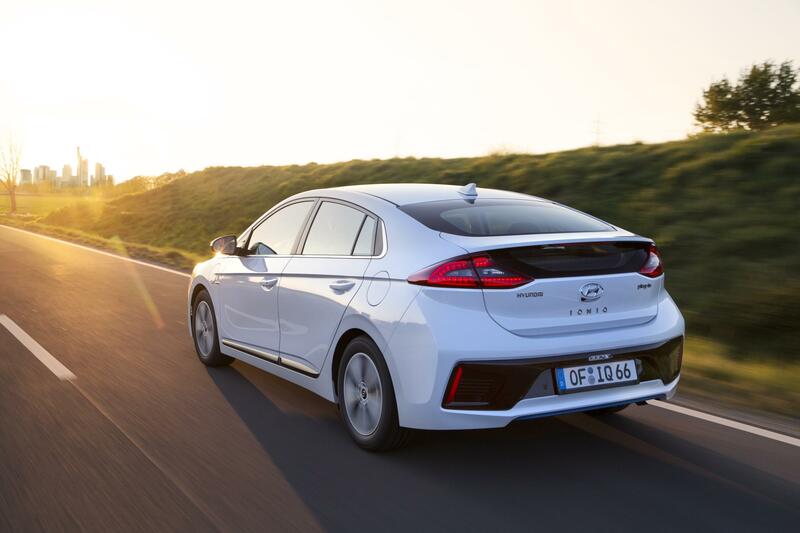 With a promised range of nearly 700 miles, this is the excellent new Hyundai Ioniq hybrid which also delivers nearly 40 miles of pure electric driving. The eco hatchback is packed with equipment and, to help attract buyers, it’s possible to have a 7 kW charging point installed for £300 – it can also be recharged with a standard three pin plug when there are no charging points available. 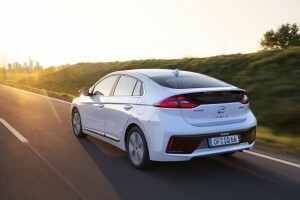 The vehicle was first unveiled at the Geneva motor show and with it now available in showrooms, this is the third and last variant for the Ioniq line-up. The Hyundai Ioniq hybrid will offer an interesting alternative to the segment leader, the Toyota Prius and there’s a lot to recommend it. Indeed, it is the first car in the world that will have three electric powertrains available within one body style. Under the bonnet is a 1.6 litre petrol engine producing 105 PS and the electric motor delivers 61 PS with the combined the power output being delivered through a six speed dual clutch transmission. Effectively, the overall power output is 141 PS with incredibly low emissions of just 26g/km. 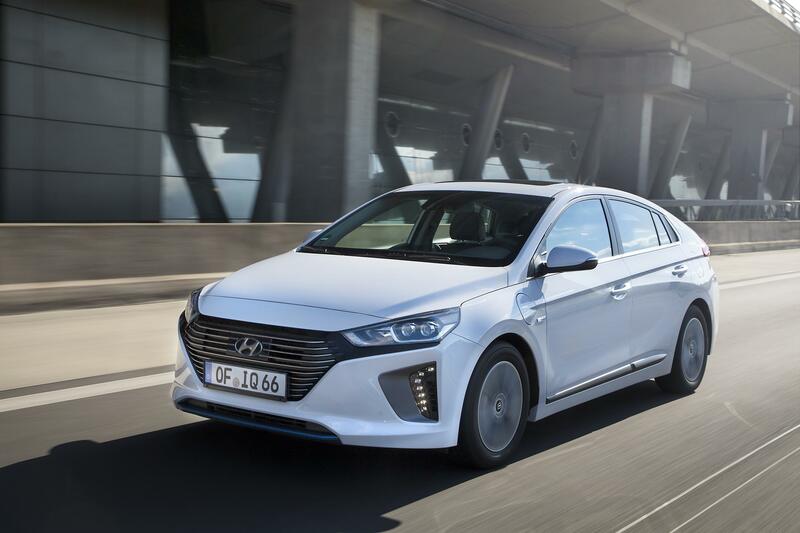 The new Hyundai Ioniq hybrid is available as a Premium and Premium SE specification with lots of standard equipment. The list includes Bluetooth connectivity, smart cruise control, 16-inch alloy wheels and an 8-inch touchscreen with satnav. There’s also a system that will help predict energy management to help optimise the battery efficiency and delivers a coasting guide for the driver to help them use less fuel by reducing use of the throttle. There’s also a heated steering wheel and front seats, while wireless phone charging as well as a rear- view camera with rear parking assist. The list of standard equipment includes autonomous emergency braking, tyre pressure monitoring and lane keep assist. The Premium SE trim features leather seats, rear seat heating, rain sensing wipers, alloy pedals, front parking assist and blind spot detection. The Hyundai Ioniq hybrid is available now with prices starting at £24,995 for the Premium 1.6 GDi. This entry was posted in Car Leasing, Cars, Hybrid Car, New Cars and tagged Hyundai Ioniq by Steve Lumley. Bookmark the permalink.